We have wide range of Toyota, Nissan, Honda, Mazda, Suzuki auto body and electrical parts available in stock. We import half cut and nose cut of all popular models of Toyota, Nissan, Mitsubishi, Honda and Suzuki from Japan. We import parts directly from Japan to Harare. We Carry huge stock of Japanese used engines of all popular brands like Toyota, Nissan, Honda, Mitsubishi, Suzuki, Mazda and Non Japanese Brands like Mercedes, Audi, Volkswagen and other. We have engines for all types of vehicles including cars, vans, wagons, SUVs, buses trucks. We have in our stock all popular engines like 3L, 5L, 4A, 5A, V6, E25, V35, 4D33,4D34, 4D35, 4M50, 4M51, T32 etc. We can also import engines from Japan just for you. 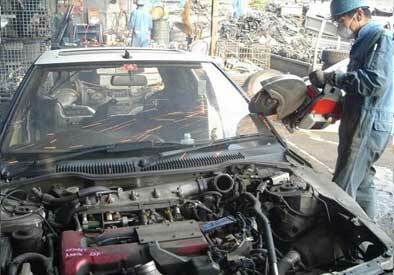 We take complete car for dismantling and break it into parts. We sell complete parts of a single car so you can give your demand. We also import vehicles in half cut and nose cut form and we complete dismantle them in our workshop in Harare and sell parts locally. 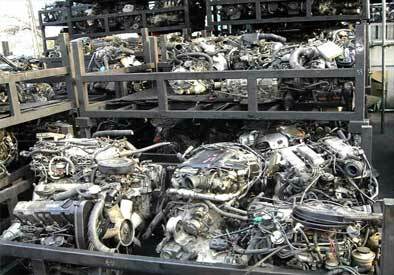 We also import scrap vehicles from Japan for our clients in Zimbabwe and also for spare parts dealers. Copyright © 2019 Japanese Used Auto Parts Zimbabwe. Powered by WordPress. Theme: Accelerate by ThemeGrill.